D'addario nickel strings sound great on my Taylor 514ce. The cedar top needed a little more punch and these strings delivered. Surprisingly easy on the fingers too, as much as coated strings. 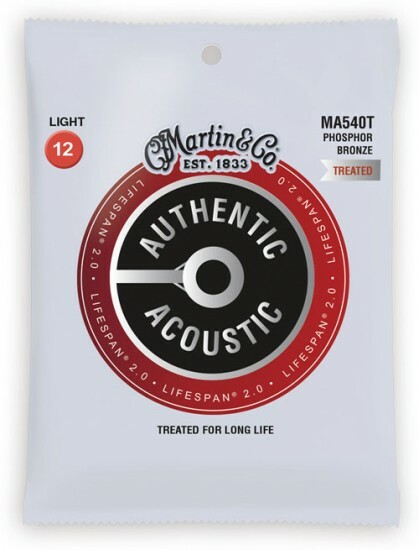 I also bought martin acoustic lifespan SP for my Martin dreadnought and these strings sound very clear and loud but can be softened by playing style. Strum hard, they're loud; strum soft, they're clear but soft; great for fingerpicking also. thanks strings by mail! Strings by Mail is a great place to get your guitar accessories . The people are nice always sends you a thank you note. That alone makes me come back. Your usual prompt job of getting strings and humidifiers to me in no time. Thanks again.